Q: What's in Your Wallet? Q: What's on my bed? Since this ghastly summer seems to be finally ending, I put out a warmer quilt. It's an old Moda Club pattern with way too many half-square triangles in it. I was in Huron, Ohio for the Quilting with Machines Show. A good time was had by all, and my roomie can tell you that I fell asleep early every night. No time for stitching! My daughter-in-love and I started these quilts at a class at the Joyful Quilter. It was a Mystery Quilt class and the subject was Scotland. When I heard about Dylan, I bumped this quilt to the top of the list and finished it for him. I hope it gives him some comfort through his ordeal. It was a whirlwind of family wonderfulness! Not much down-time in the hotel and I slept for the whole flight home. Maybe next week I'll have more progress? A little progress on my Lucky Charms quilt. I'm hand appliqueing, so it will take a while. Sweet Tooth is made from a Moda Honey Bun. The pattern is for a twin- or queen-sized quilt. 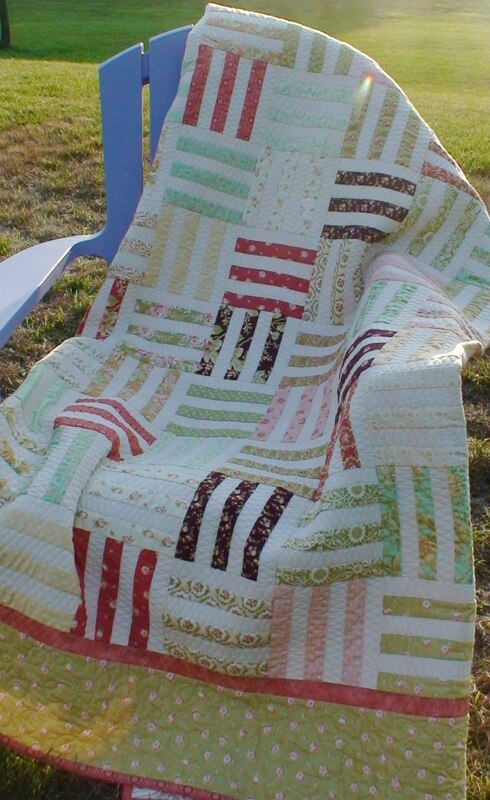 Piece one up using your favorite yummy fabrics! Debbie gave me a mention. 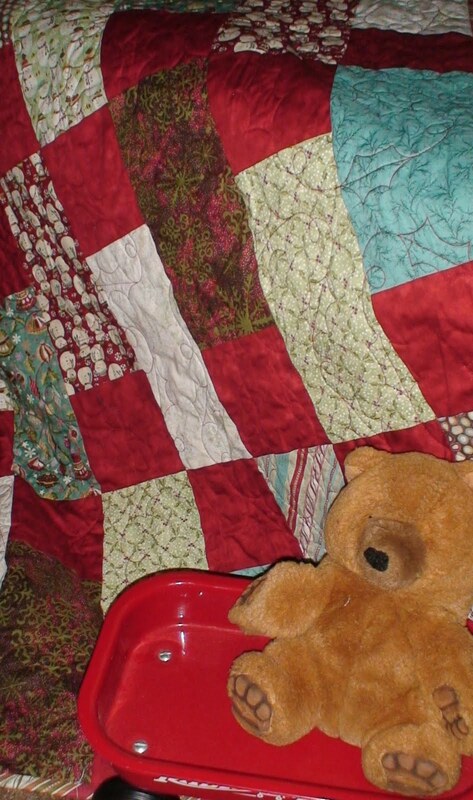 Drool over her quilts while you are there. She is ah-ma-zing! I'm working on two different Pat Sloan quilts. When I was pregnant with my daughter, I had a friend who was pregnant at the same time. Our daughters were born 3 months apart. We kept each other company, and kept each other sane. Unfortunately, my friend and her family moved nearly 3,000 miles away when the girls were in pre-school. My husband and I visited them once out there, and they visited us once back here. We didn't stay in close contact, but we knew where to find each other. A few years ago, this family moved again: now they live less than 200 miles away! Since I travel for my job, I stop and see them whenever I'm in their area. It's been incredibly sweet to re-kindle our friendship. Since my daughter graduated from high school last year, it didn't surprise me much that my friend's daughter graduated the same year. Even so, I didn't get her quilt finished in time. She likes orange. Can you tell? The pattern uses yardage or a Layer Cake and is available here. ... to sign up for my fall quilting retreat.